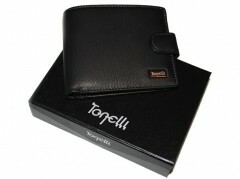 Men’s black leather wallet by Gilda Tonelli. Line Tonelli Uomo. Made in Italy. Modell - 2771 Black Vichy. The wallet is very convenient. Excellent quality leather processing. The wallet is brand new, with the label of the actual collection. 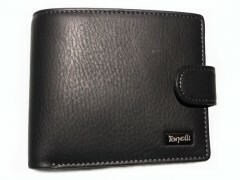 There are many sections for coins, bills, credit cards, driver's license and other documents. 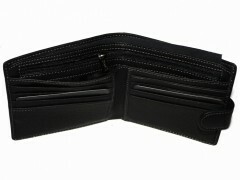 4 x small internal pockets for holding receipts, notes, etc.